I’ve let this blog slide for a few weeks now because I haven’t really had the opportunity to sit down for more than a handful of minutes and write something out. I don’t do end-of-the-year reviews, because i’m not sure what point they’d serve and i’m not good at being overly reflective without beating myself up, so instead here’s a long review discussing my experiences with TeaVana and touching on tea utensils. I’ve previously described my ambivalence toward TeaVana, and it continues today. Their business model is of course sound, and i wouldn’t dare challenge it. However, as tea companies go, their product still has a long ways to go. Mind you, as I’ve touched on in the past, when it comes to Starbucks’ other/original tea company, Tazo, however, I’ll choose TeaVana every time. For the past few years I’ve managed to visit TeaVana both during their before and after Christmas sales, and I will say that their after Christmas sales by far more satisfying. The Christmas giving season sales are okay, but generally those sales aren’t as memorable. Last year I got 30% (or maybe it was 40% off a with high volume purchase discount) off the cost of a Tetsubin (cast iron tea pot for brewing, not to be heated), and those don’t come cheap so I really appreciated that. This year I think only tumblers were on sale before Christmas? After Christmas, it seems the sales depend more-so on each particular store’s excess merchandise as to what goes on clearance. I stopped at one TeaVana at the Great Lakes Crossing mall in Auburn Hills yesterday that had a Tetsubin on sale (it was cute but not the style i prefer. Usually I go for a shallow pot with a deep strainer that almost touches the bottom of the pot), but the TeaVana I frequent didn’t. One thing I did find yesterday that I’m excited about though was the Holiday Tea Collection Gift Box (not currently being sold on their website). Before Christmas these are sold as expensive generic gifts. A fancy box comes with four 2 oz satchels of TeaVana holiday themed teas. They retail for $35 USD plus any relevant sales tax. After Christmas, those gift boxes are marked down and I was able to get one for 50% off, so about $17. Not bad when you consider I don’t really want to buy $24 worth of one specific tea I don’t know if I’m going to like (I have done that before, but usually only at TeaHaus in order to support them). 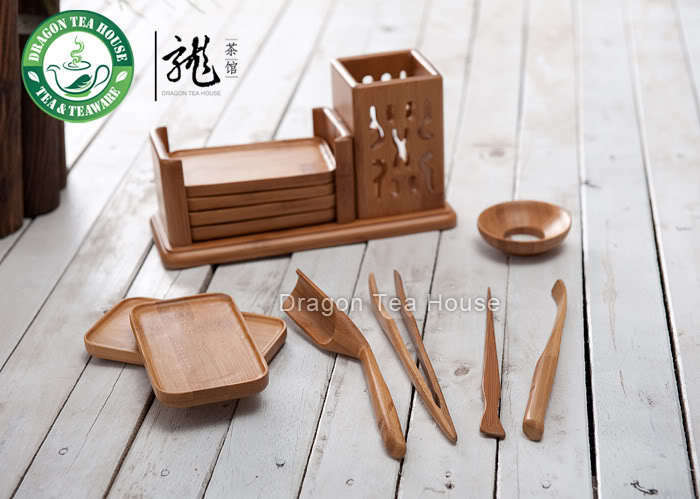 Unfortunately, this time around I didn’t really find any other box sets that I was overly attracted to–right now it seems like they’re pushing their “Oprah-recommended” chai thing and a matcha set that comes with bamboo utensils I really don’t need. As an aside, I don’t think i know anyone personally who actually makes matcha in the traditional way with the bamboo utensils often sold in gift sets as “tea implements”. I’ve definitely seen traditional tea ceremonies performed and I believe Cafe Japon might have used a whisk to make some of things I had there years ago but i can’t be sure. Actually i’m not even sure if i’ve ever used my tea whisks for anything except decoration, though i seem to keep accumulating them from people who’ve been mislead into believing they’re helpful for serious tea drinkers. The proper function of most of these bamboo implements is… esoteric to the point of being meaningless. I don’t really brew powered tea like matcha except for maybe iced tea, which you don’t whisk. I’ve actually gotten more use out of sushi-rolling mats than most of my bamboo utensils. They’re basically ceremonial, though i do occasionally end up finding uses for them like breaking up a brick of pu-erh during brewing. As a gift idea, one tea implement that is extremely helpful in my mind are the bamboo tongs that TeaVana sells alongside their Tetsubin. I use those things constantly to hold cast iron lid in place without burning myself during agitation/multiple steepings, etc. If you don’t use a Tetsubin though, i doubt i would be able to find a use for them either. White Chocolate Peppermint. As with a lot of TeaVana teas, the raw tea smells amazing and is pleasing on the eye (in this case, a delicious candy cane-like aroma that conjures up the feeling of visiting a handmade fudge shop), but the resulting brewed tea may not be as satisfying. White Chocolate Peppermint does have a decent peppermint aroma with a hint of spicy chocolate. In taste it resembles an amaretto with rock sugar, which is nice but not necessarily exceptional. If i were making a white chocolate peppermint tea from scratch, the first thing I would do is, use a Black or Herbal tea and real cocoa and nibs. TeaVana’s version uses Rooibos and sugar with cocoa butter and a mix of cocoa kernels with carob pieces to save money. The result isn’t exactly thrilling and it’s definitely not something I’d brew for guests. Which, considering it’s designed to be given as a gift… >.> Like many TeaVana teas, White Chocolate Peppermint has a lot of other odd ingredients i don’t really understand and probably wouldn’t include myself such as dextrose, vanilla pieces, coconut blossom sugar, liquorice root and natural and artificial flavoring. Licorice (of the English spelling) is definitely a useful ingredient when it comes to a lot of Herbal teas. But, Herbal is usually designed to be caffeine-free, which the addition of white chocolate pieces (TeaVana’s first ingredient here) would kind of preclude. All-in-all, I do not recommend White Chocolate Peppermint. Instead, you might enjoy Republic of Tea’s Peppermint Bark Holiday Herb tea, which is caffeine-free, or Rishi’s Peppermint Rooibos caffeine-free blend. Admittedly, I’m not myself a huge fan of Rooibos as an Herbal base, but it’s what modern tea sellers have come up with to make Herbal teas cheap and blend well.